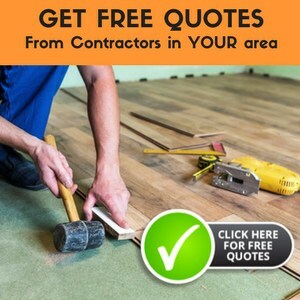 You’ve likely been told by people with the best intentions that installing laminate flooring is a fairly simple process that most can complete. This is true, but there are often a few other things that have to be factored into your process as well. One of the biggest factors is cutting laminate flooring. 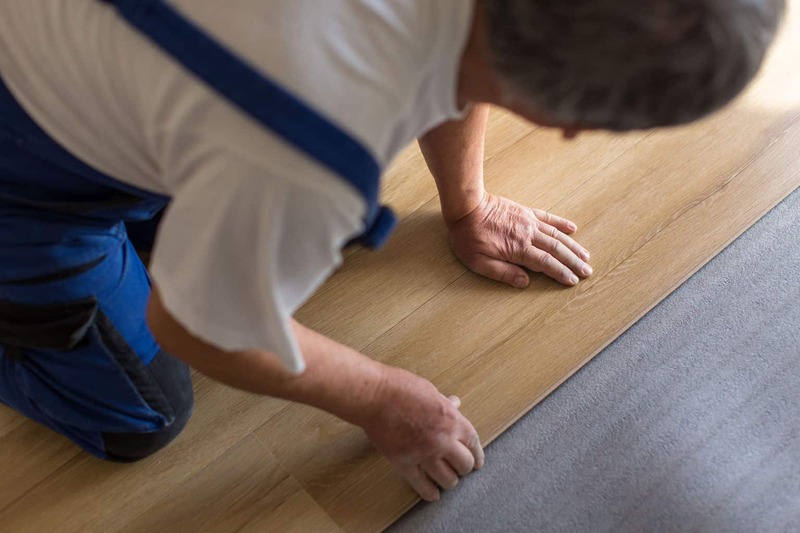 Sure, it’s easy to forget about this crucial step in the process, but the reality is that you won’t be able to install your new laminate flooring if you don’t know how to cut it to the right width or length to fit in the room correctly. However, the process for cutting laminate flooring still isn’t too challenging. All you need is a few key tools and some time. If you know that you only need to cut in straight lines to account for the size of the room, then you will only need to utilize a circular saw or even a hand saw if you don’t have anything else. 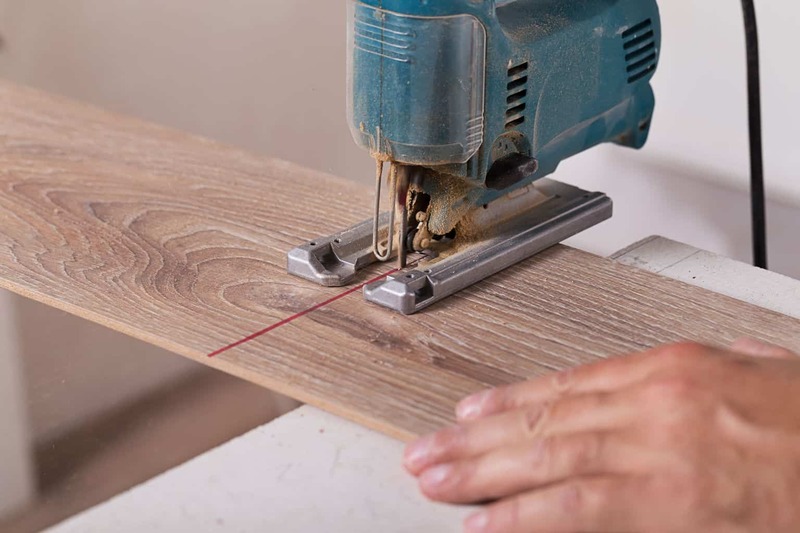 To avoid any chance of accidentally chipping the laminate, try to use a saw that has a minimum of 18 teeth every inch. 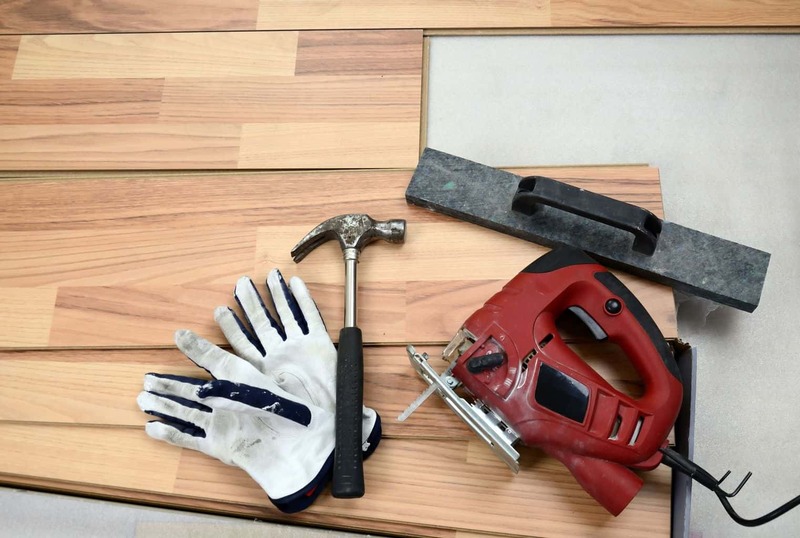 However, if you know you need to accommodate for some odd shape in the room, like pipes, and you will have to cut a few boards a little differently, you will want to utilize a jigsaw. This allows you to make any necessary shaped cuts to make the piece fit perfectly. Try to choose a jigsaw that has a blade with fine teeth, this helps to keep your laminate from chipping. When it comes to marking your boards for cutting them to the correct size, there are a few different processes. For any cuts that will merely be straight, I recommend making your marks with chalk, that way you can easily wipe away anything left on the board once you’ve made your cut. The measuring for these types of cuts will be much simpler. Now, if you have to cut a specific pattern in order to get your laminate to fit around an obstacle, you have a few more steps. I recommend taking a piece of paper and tracing the correct outline for the obstacle. It may take a few different tries before you are able to get it just right, but once you have the paper outline fitting perfectly around your obstacle, you are ready to cut. 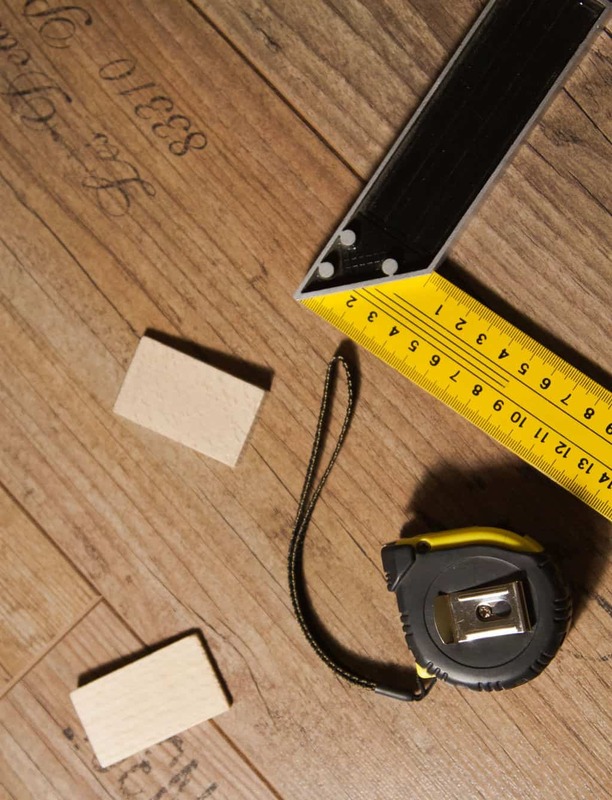 You should place the paper pattern directly onto your wood and use your jigsaw to cut along the edge of it. If you choose to cut your laminate while it is face up, I recommend laying some painters tape along the edge of the line that you are cutting. This keeps our laminate flooring from unwanted chipping. Buy more laminate than you need. If you’ve never done it, cutting laminate flooring can be tricky. If you have a bit more laminate on hand than you necessarily need you won’t run the risk of getting behind on your project by making a mistake. Laminate flooring is known to expand and contract, so make sure to bring your laminate flooring into the room for installation a few days before you begin to cut. This ensures that you won’t run into any size issues. In order to get the most accurate jigsaw cuts, set your saw to its highest speed and then move very slowly in the process of cutting. For making straight lines, if you choose to use a table saw make sure that you are making your cut on the front side of the laminate, but if you are using a circular saw then it is recommended to cut along the back side of the laminate. I hope this was all helpful for your process and you realize that cutting laminate flooring is totally doable and not too challenging for someone who has never done it before. Once you have mastered the task of cutting laminate flooring, you are one step closer to a beautiful floor that you can tell everyone you installed yourself. I wish you the best of luck and successful cutting!